The reason for your watery eyes and sneezing come Springtime may be caused by the same irritant creating patches in your lawn. 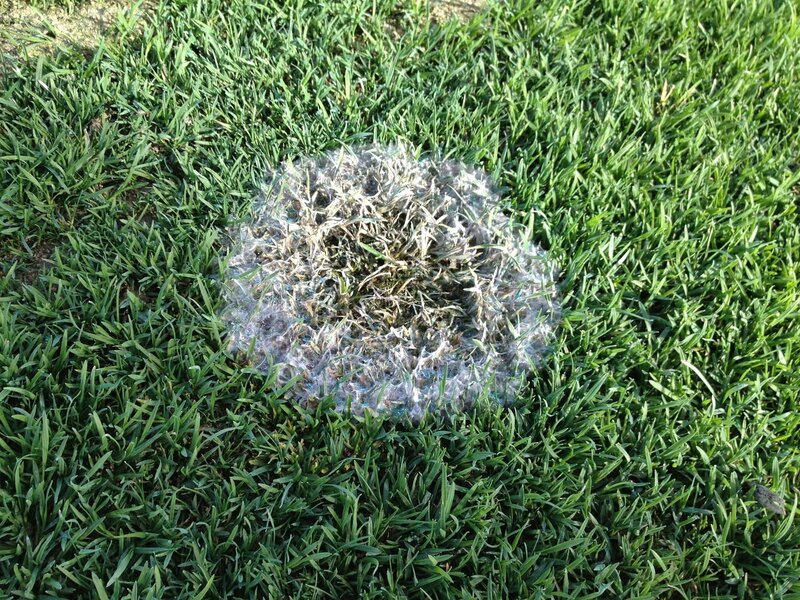 Snow mould appears in the Spring, when the snow is melting and the grass is wet, and creates mouldy patches in your lawn. Read below to learn what you can do to make sure your lawn is free of mould this Spring. Snow mould is a fungus that affects grass when the ground is not completely frozen and there is a heavy layer of snow covering it. It thrives in temperatures ranging from 0° C to 7° C, and after an extended period under these conditions, grey or pink snow mould can form. The snow mould spores grow in the moist soil below the grass, leaving unhealthy looking circles, each a few inches in diameter, in your turf. By the time the snow has melted and you can see the circles in your lawn, the spores have already been released into the air. These spores can cause itchy eyes, sneezing and wheezing, and for those with snow mould allergies, even trouble breathing. 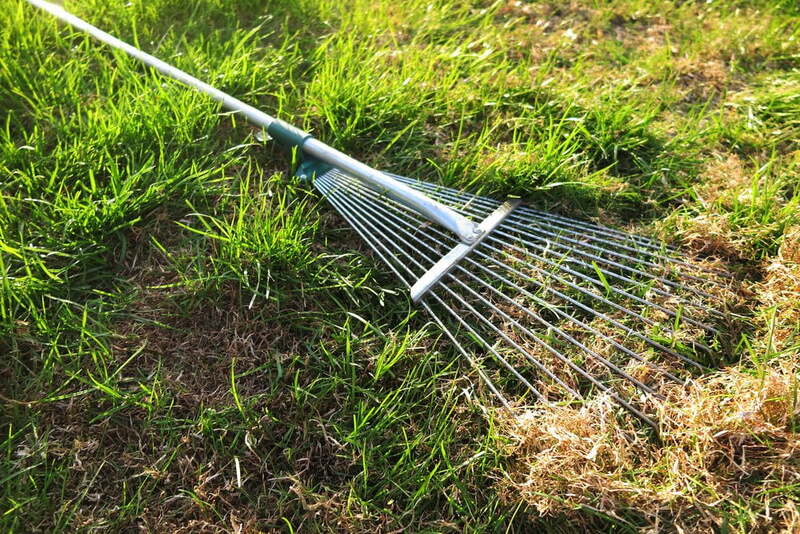 Grey snow mould is the least damaging of the two types, usually only damaging the grass blades. Pink snow mould however, can destroy grass all the way to the roots. Luckily, snow mould is easy to prevent if you take action before the snow comes. First, since snow mould remains dormant in the soil in the late Summer months, proper mowing and raking of thatch year-round will create a healthy turf for when the snow begins. Second, avoid fertilizing with high nitrogen fertilizers late in the Fall. Nitrogen extended the grass’ growing season, meaning it may still be growing while the snow begins to fall. 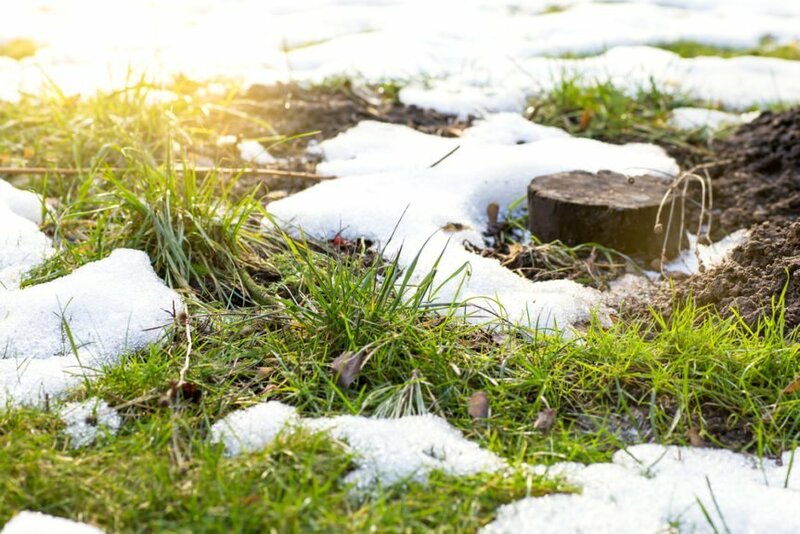 Longer grass is more susceptible to snow mould because it covers the soil and creates a moisture barrier. For the same reason, be sure to keep mowing your grass as long as it keeps growing in the Fall. Mow until your lawn goes dormant for the Winter, as shorter grass is less likely to trap in moisture and allow mould to form. Also, be sure that you deal with any thick layers of thatch (more than 2”) or fallen leaves before the snow falls. Some mulch or leaves are okay, but a thick layer of moist debris creates a breeding ground for disease. If you’ve had serious problems with snow mould in the past, you may want to consider using a fungicide in the Fall, although this step isn’t usually necessary. Once the snow has fallen, there are still steps you can take to prevent mould from forming. Spread out snowdrifts instead of piling them up while shoveling. A thinner, more even layer will help the snow to melt faster, ultimately hindering the growth of mould. Once the grass is exposed and dried out, the mould doesn’t survive, so drainage is important. Avoiding foot traffic to moist grass will also help. If you find yourself dealing with snow mould once the Spring comes, there are actions you can take to help heal your turf. Once the affected area dries out, the fungal infection ends and the grass will begin to grow and revive itself. You can hurry this process along by lightly raking the mouldy spots to break up matted turf and help air get though to dry the grass. Wear a mask while doing this to prevent mould inhalation. You may want to overseed or apply topcoat to the patches is the damage is severe. If this method isn’t working for you, a method called solarizing may help eradicate the disease. This involves covering the moldy spots with clear plastic as soon as possible in the Spring, so that the sunlight heats up the soil below, killing the fungus. This involves quite a bit of hands-on work though, be warned. Snow mould is an easily preventable lawn disease that can have mild to moderate effects, not only on your turf, but also on your health. Follow the steps above to ensure that your encounters with snow mould are few and far between! If you need any additional guidance, please get in touch with our experts at Weed-A-Way! I put down all new sod last July (2016) Which one of your programs would you recommend and why, for new sod that may or may not have fully rooted?